Cuteness alert! 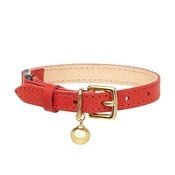 This is the ideal first collar for your kitten. It is made from fray proof premium nylon and is stitched to a very high standard. Your kitten will enjoy its soft feel. 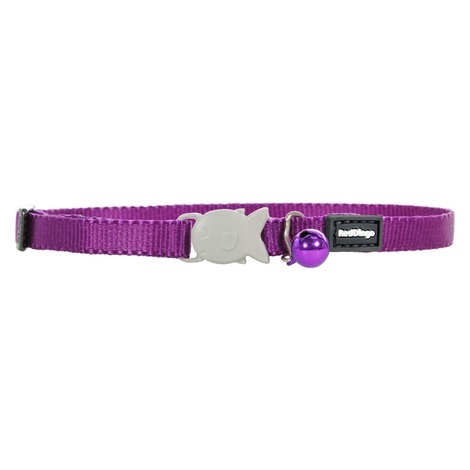 This safety kitten collar comes with a FishClip buckle engineered in acetal plastic. It also features a safety release clip designed to release under a 0.5kg (1lb) load. Birds will hear your kitten coming thanks its safety bell. 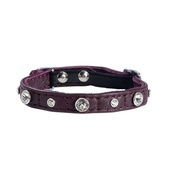 Plain Kitten Collar in Purple by Red Dingo. 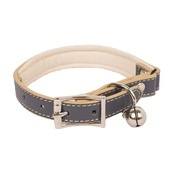 Durable collar made from nylon. Sizing - 8mm x 6-26cm (6"-10").